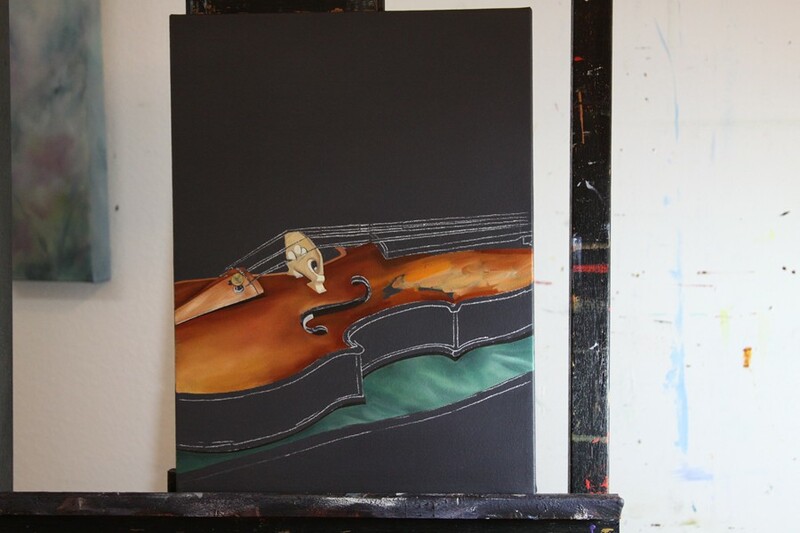 This is the next stage of my "oil painting" where I am blocking in the color of the "Amati Violin." I want to try and keep the highlighted areas of the old wood soft and light. 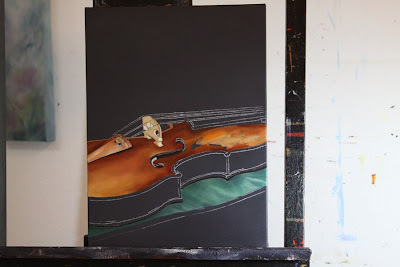 I have to allow the oil painting under layers to dry completely before I can apply the next layer. I will always have about five or more paintings going at a time so that no time is wasted while waiting for these areas to dry. I can just switch back and forth between the different paintings. Read more about this "Amati Violin" on the previous post. Wow can't wait to see this finished.